We are a joint initiative of over 30 non-profit organizations, government representatives and community leaders working togethere to end persistent, long-term homelessness in Fredericton. To strengthen the community capacity to end homelessness in Fredericton through collective planning, collaboration, and community engagement. A community where all who find themselves homeless have immediate options for housing and support, with the ultimate goal of ending homelessness. Implement a coordinated service system of care to prevent, reduce and end homelessness based on prevention and Housing First. Facilitate ongoing community education, communication, research and planning on homelessness issues, trends, and solutions. Fredericton is one of 61 Designated Communities under the Federal Homelessness Partnering Strategy. The Homelessness Partnering Strategy (HPS) is a community-based program aimed at preventing and reducing homelessness. This is achieved by providing direct support and funding to designated communities and to organizations that address homelessness for smaller communities. The HPS was launched in April 2007, with a focus on longer-term solutions to homelessness. 2. Homelessness is a complex issue that requires the collaboration of multiple partners in order to develop viable solutions. ​To learn more about HPS and the role of the Community Advisory Board, please click HERE. 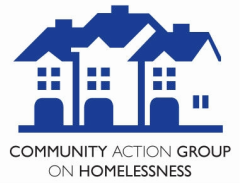 ​Whether providing funding to the CAGH or collaborating on initiatives, these organizations are vital to end chronic homelessness in our community.